There's going to be a little shakeup in the House Republican membership, as it turns out. 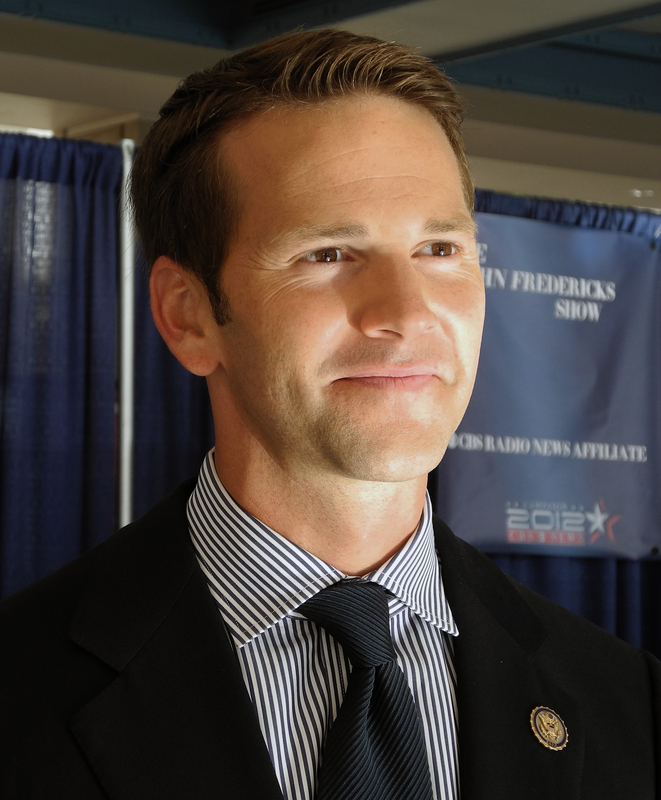 In a move that's been a pretty obvious possibility for weeks, Illinois Representative Aaron Schock has resigned, his political career ended by allegations of improper use of taxpayer money. It was back in February when things really started to unravel for Schock, who was one the youngest members of Congress in either party at 33 — after a ton of attention focused on his highly ornate, Downton Abbey-styled congressional office, people started digging into his spending habits, and what came out wasn't very flattering. Among other things, he reportedly spent taxpayer money on private flights, cigars, and tickets to a Katy Perry show. It means a lot of things, both for Schock and the GOP — now he's out of a job, out of his gaudy $40,000 digs (kind of a big gamble when you only get elected to two-year terms), and his party has to find a new face to woo the voters of Illinois' 18th Congressional District. He's not going to be leaving immediately, to be clear, but will stay in office until the end of March. Whether this has negative repercussions for the next Republican to seek the seat is probably too early to say. Schock's case could be portrayed as an aberrant one-off, or it could stick. But the one thing that's bound to suffer from in all this is any hope Schock has of making a return to national politics. It's undeniably true that American has a real lust for a good redemption story, and many politicians have gotten second chances that you really wouldn't expect. In Schock's case, however, it feels safe to predict that the brand has been permanently tarnished. On paper, he could've once easily been dubbed a rising star in the GOP — after all, he was (and still is) a young, sharply dressed, handsome fellow, and how much more does it really take to grab a few headlines? But in practice, it seems like his worst instincts got the best of him, and in such a way that's particularly hard to come up with clever excuses for. A scandal involving legislative procedure, support for a heinous policy, or even a slightly more sympathetic, impulsive carnal vice would be one thing. Hell, David Vitter still has a career. But there's something about a good ol' fashioned spending scandal that comes across as a bit more seedy. Just look at former Virginia Governor Bob McDonnell, for example — you can sign forced ultrasound bills all day long, but get caught trading favors for influence and the hammer drops. I'm not from Illinois' 18th, obviously, so I'm not sure how it feels to help furnish my Representative's lavish period-piece office (sweet deal for the next person who gets that office, huh? ), but I'd venture it's a tune that doesn't play well wherever you take it.